Are you a fan of that best-of-both-worlds feel? 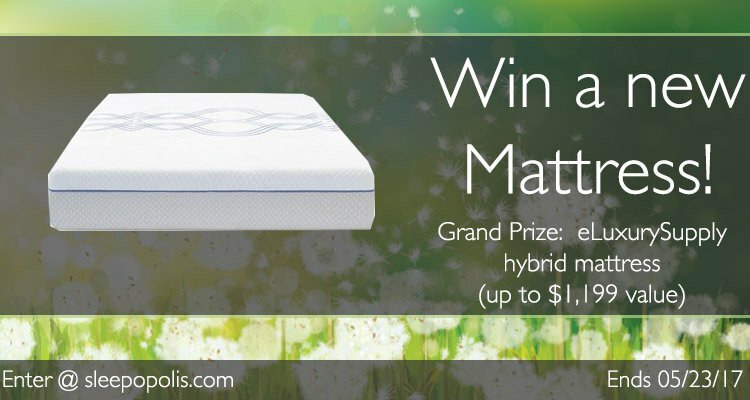 How about the chance to win a brand new hybrid mattress? Enter the giveaway today for your chance to win a brand new eLuxurySupply hybrid mattress. We’re giving away one (1) brand new eLuxurySupply hybrid mattress. The eLuxurySupply hybrid is a 12″ hybrid mattress built with layers of memory foam, latex foam, and encased microcoils. One grand prize winner will be randomly selected and win one (1) new eLuxurySupply hybrid mattress in their preferred size (Twin, Twin XL, Full, Queen, King, California King). Duration: The giveaway starts today, 05/08/17 and ends 05/23/17 at 11:59 PM PST. Grand Prize: One (1) grand prize winner will be randomly chosen based on the pool of entries. The winner will win one (1) eLuxurySupply hybrid mattress in their preferred size. Entries: No purchase necessary to enter. You may enter once for each entry method defined above in the Gleam giveaway widget. Only entries verified through the Gleam widget above will be counted. Winner: One (1) grand prize winner will be randomly chosen based on the pool of entries. Winners will have 24 hours to respond by email. Non-response will result in disqualification and a new winner will be selected. Winners must provide a valid mailing address, email address, and phone number to be able to claim their prize. Winner will be announced via the Gleam widget and Sleepopolis.com, and may also be announced via Facebook, Twitter, and other social media. Winner’s first name, last initial, and public thumbnail picture (that’s included in Gleam) will be included in the winner’s announcement. Eligibility: Continental US residents only. Must be 18 or older to enter. Sponsor: Giveaway prize is provided by eLuxurySupply. eLuxurySupply will mail all prizes directly to the winner. Giveaway sponsors may contact you via email. If you do not wish to receive these email communications you may opt out via the unsubscribe link included within those email communications. 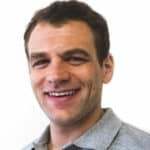 Taxes: There may be tax implications with accepting a giveaway prize. All winners are responsible for investigating if there are tax implications and to pay any and all taxes, if required. By accepting a prize you accept and acknowledge the tax implications. Sleepopolis cannot provide tax advice. Please consult with your own tax adviser. Giveaways like this one would not be possible without the generosity of the great companies that sponsor them. A big time thank you to eLuxurySupply for kindly donating a mattress for this giveaway! Thanks to our sponsor, eLuxurySupply! This mattress is just what I need! I need a comfortable bed because my sciatica in lower back. Out of curiosity, how does this mattress compare to the Alexander Hybrid? They have a similar design, so both have lots of bounce, good response, good edge support, and good cooling. They are also a similar firmness. The biggest difference is the thin cover vs. quilted cover. Neither is better or worse, but the quilted cover is more of a traditional design / feel. I’ve been searching and searching for the ideal mattress. I use your site a lot! Just came across this contest, hadn’t heard of this mattress before but it might be a match for me! I’m crossing my fingers. Really admire this veteran-owned company, based in my home state, Indiana. Customer Service is very responsive. Perfect timing. Need to get rid of my old Temperpedic mattress. You will need to enter via the Gleam widge above, Teresa. This mattress has new features and design not available years ago. Would be great to sleep on one. This looks like a high quality mattress that would give someone years of good night sleeps. Looks like a very nice bed. Entering is super easy. Just scroll down to the Gleam widget below. There are lots of ways to enter! Very excited for a chance to win!